Through all the science learning we never underestimate the importance of simply getting our kids outside and exploring. The sad fact is that today’s generation spends half as much time outside as compared to kids of 20 years ago. In a typical week, only 6% of children ages 9-13 play outside on their own. Today, kids 8-18 years old devote an average of 7 hours and 38 minutes to using entertainment media in a typical day (more than 53 hours a week!). This is a crisis that has implications on many levels. These trends impact our children’s health and learning, and leave us with little chance of a next generation that will value and protect our natural resources. 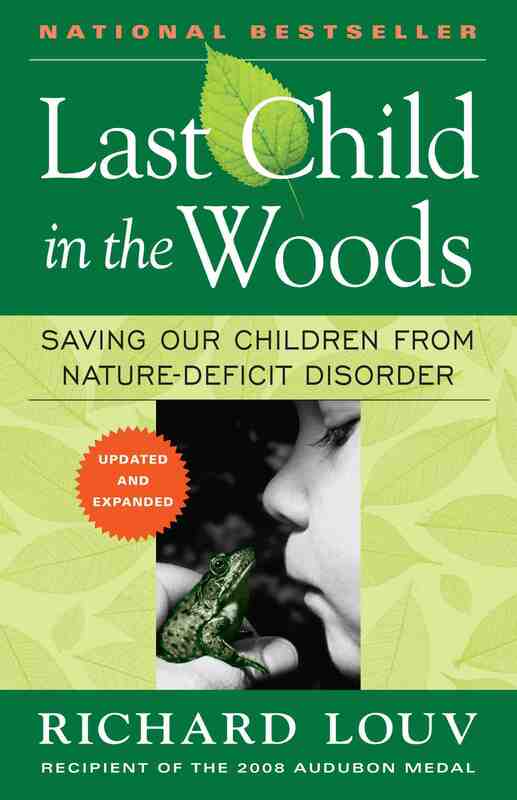 There are many reasons for this trend and for a really great read on this issue we recommend Richard Louv’s “Last Child in the Woods.” This book has been out for some time but it is still a great discussion of this critical issue. 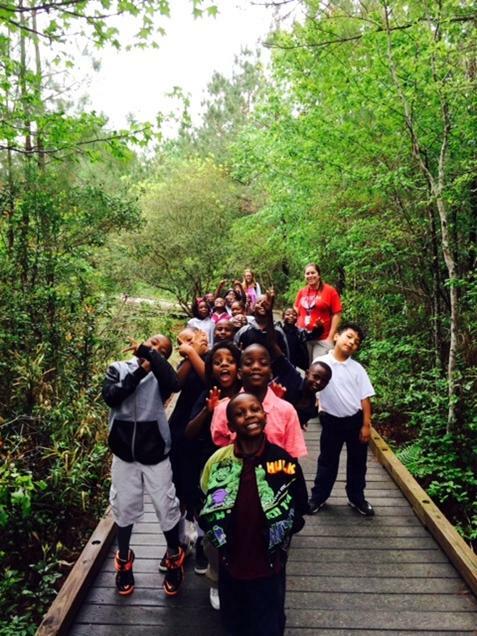 For our part we continue working to get as many kids outside and exploring as we can. Your support of our programs is crucial to this effort. We also need your help in keeping this important discussion going in the community. We hope you will share your strategy for getting the kids in your life outside with us. We would also love to hear your favorite outdoors childhood memories, and your thoughts about “Last Child in the Woods” and the crisis of “inside kids.” Share with us on Facebook at Facebook.com/sccoastalfriends and Twitter @FrndsofCoastlSC or email us at info@sccoastalfriends.org with “inside kids” in the subject line. Or even mail us a letter! 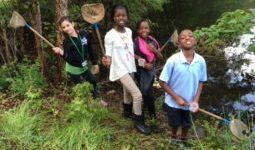 We thank the US Forest Service for their generous funding of our environmental education work through the More Kids in the Woods program. Carnivorous plants and Carolina Bays in the Francis Marion National Forest.